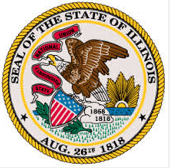 SPRINGFIELD, IL – State Rep. Al Riley (D-Olympia Fields) has filed legislation, House Bill 2424, that would prevent the Chicago Transit Authority (CTA) from denying injury claims because of small errors on required forms for accident victims. House Bill 2424 will be presented before the House Judiciary I – Civil Law Committee on Wednesday. Section 41 of the Metropolitan Transit Authority Act shields the CTA from paying the claims of accident victims by making even small mistakes on the written notice to the CTA grounds for dismissal. The section dismisses any case where even a small mistake was made on the written notice of the accident to the CTA. Further, it bars forever the person making the claim from filing a suit based on that incident. One of Riley’s constituents, Merle Huckabee, had her injury case thrown out due to Section 41. Her claim was dismissed solely because her written notice was missing the address of a hospital doctor, and she was not able to recover any damages. House Bill 2424 requires the CTA to alert, in writing, the person filing a notice of injury of any mistakes or insufficiencies on the notice. The person can then correct the notice and re-send it to the CTA within 60 days. Please call Riley’s Springfield office at (217) 558-1007 for more information.